The Financial Times dubbed them ‘world’s saviours’, brands are baffled by them, and you’re more likely to find them setting up charities than trading stocks - it’s time to meet the New Working Order. Born between 1994 and 2000, Generation Z are now among the first adults in the UK who grew up with internet in their homes. According to a recent study by Huawei in collaboration with Goldsmiths University, around 40% of that group make up the New Working Order (NWO). This tribe of savvy self-starters are defined by their entrepreneurial skills, purposeful career goals and deviance from the regular 9-5. Growing up during the recession seems to have instilled a highly frugal and industrious mindset in this particular age group, and they’re now bringing that to their working lives. As the first students to have their university fees tripled, many of the NWO now shun traditional education and seek a more hands-on way of learning instead. After all, getting creative on the likes of YouTube and Instagram shows prospective employees that you can make content, gain a following, market a brand, and use audience insights just as well as a degree can. And once this generation witnessed the likes of Zoella making a living from her passions, the 9-5 was about to face its greatest challenger. Despite the weight of austerity being a constant presence in their narrative to date, a staggering 92% of the NWO rank finding a career they enjoy more highly than earning money. More than half of those who do work a regular job have a passion project or side hustle, and a large proportion hope for it to be their main income within the next 12 months. They’ve grown up in an uncertain economic climate, and their definition of reward has changed. But connectivity has altered more than just attitudes to work - it’s also empowered a whole new way of interacting with the world. With the internet and social media making it easier than ever to understand global issues, spark debate and foster conversations, young people are highly motivated to take an active role in their future. In fact, 87% of the entire group says that they want to find a job that does social good. And rather than wait to secure a role within an established system, they’re now empowered to start themselves, right now. Enabling young people to share their talents and follow their passions will lead to some of the most innovative and exciting things on the world horizon. As technology advances, it gives them even more power, freedom and flexibility to achieve their goals. Smartphones are a key player, with 85% of the NWO group using them to connect with their professional networks. It would’ve been unthinkable to see someone running a profitable business solely from their smartphone ten years ago, but today it’s a reality for many young entrepreneurs. The recently launched Huawei Mate 20 Pro was designed with exactly this audience in mind - because when inspiration strikes, the last thing holding people back should be their technology. The new device is a powerful multitasking tool featuring industry-leading WiFi speeds and AI capabilities, allowing users to set up an entire workstation with just their phone. Generation Z is forging a new path through the world. It’s innovative, it’s exciting, and it focuses on bettering society in a way no generation has before. More power to them. 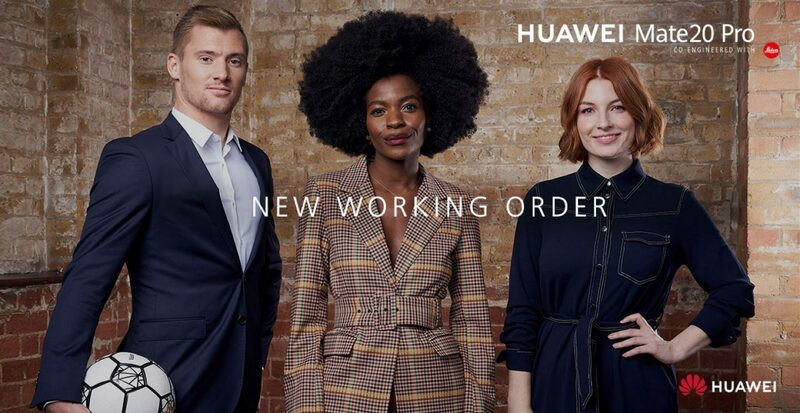 To mark the launch of the Huawei Mate 20 Pro, the new flagship device in the Mate Series, Huawei is awarding three £10,000 bursaries to this new tribe of working professionals to help them take their careers to the next level. If you fit into this new tribe - whether you run a side hustle, freelance alongside your studies, or are involved in a pursuit that is about to take off - we want to hear from you. To enter, come up with your personal statement of up to 500 words to portray your passions, ambitions and how you intend to use the cash prize and submit to via the link below. Any questions about this? Something we can help you with? Bursary applications have now closed and the winners were contacted on January 10th 2019. The winning entries will be announced here (on the website) in due course.